The beauty of fine custom cabinetry enriches living spaces. 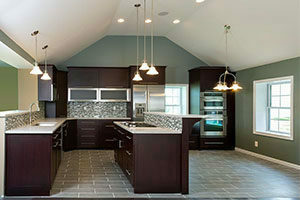 Ask Custom Cabinetry Unlimited, LLC to craft customized cabinets for kitchens, bathrooms and other rooms in your home. You’ll notice the convenience provided by this additional storage space. Fine woodworking revitalizes interior design in an exciting way! We’ll tailor these products to meet your precise specifications. Select the woods, stains and architectural styles you prefer. You can even obtain elegant custom doors from us to enclose open shelving in your residence. Spend a few moments now perusing the photo gallery on our website to appreciate the remarkable variety and charm of our exquisite built in cabinetry. Cabinets and shelving transform an ordinary kitchen into a convenient, spectacular location for meal preparation and family gatherings. By adding these amenities, you can update and modernize older dwellings. Many real estate buyers prefer homes embellished with elegant kitchen cabinets. 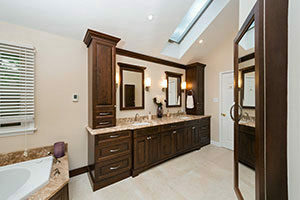 Ask us to update and beautify the bathrooms in your residence too by installing attractive bathroom cabinets. Well-crafted woodworking contributes convenience and utility. We’ll use the finishing products you prefer to customize these cabinets to meet your design objectives. Stylish cabinets above mantle pieces, in foyers, and lining bedroom walls enhance available living spaces. Use cabinets to organize personal possessions in every room. 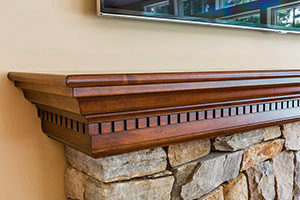 You’ll love the harmonious way our beautiful woodworking contributes to your residential décor. We offer a variety of impressive custom cabinet doors. Select flat or raised panel doors, or request specialty orders. 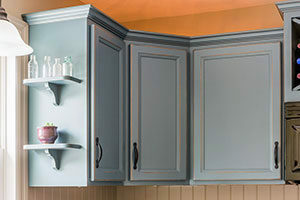 You’ll enjoy the freedom to tailor your cabinets to meet your household’s storage needs. By enclosing open shelving with attractive customized doors, you can infuse elegance into your daily living environment. To explore options for customizing fashionable cabinets in your home, call our Leola-based company at 717-656-9170 today. You can also contact us by completing the easy online information form. Let us know the best time to reach you. We’ll gladly use our woodworking skills to help you enjoy exceptional cabinetry!